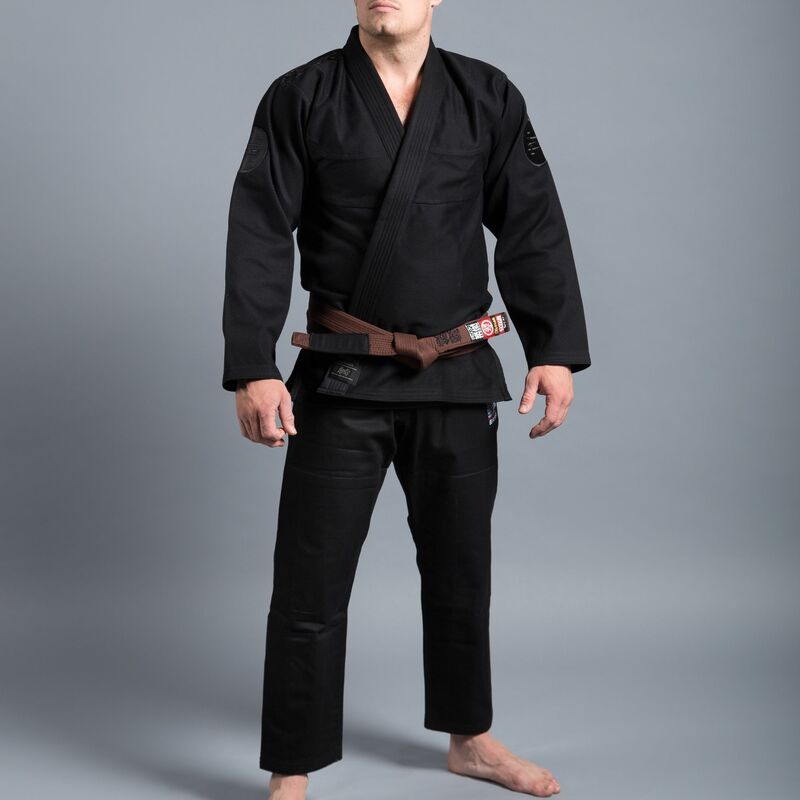 The blacked-out edition of our popular Athlete 3 kimono. 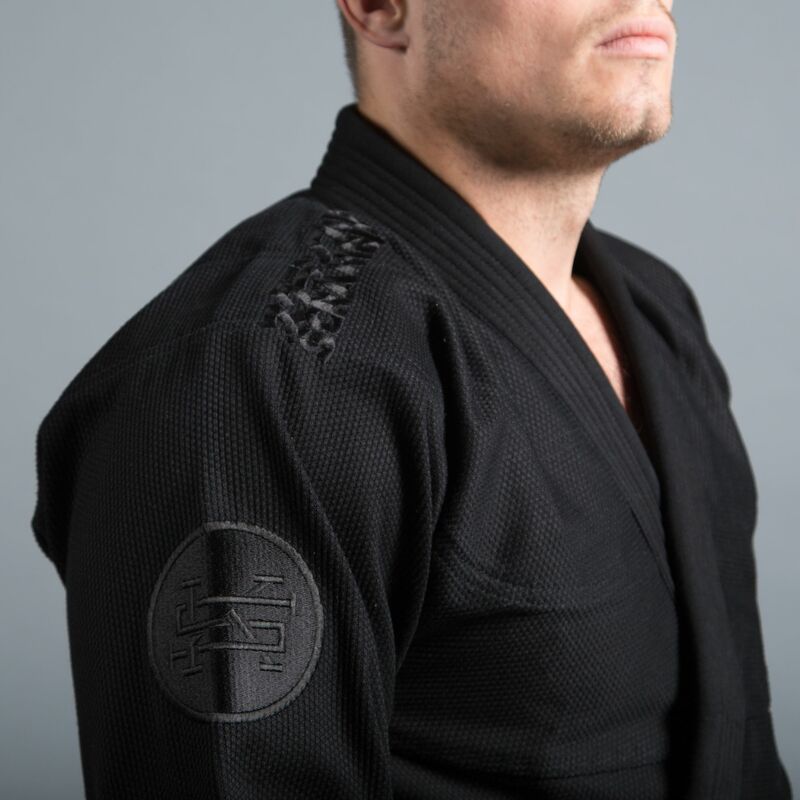 The black on black embroidery catches the light to give just a hint of Scramble branding throughout. 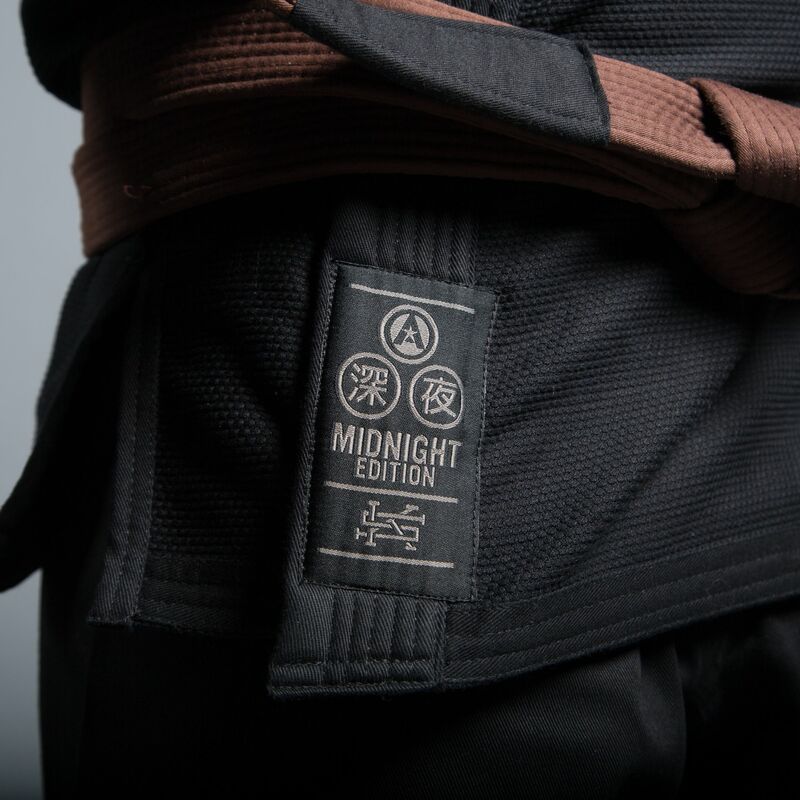 The labelling details on the trousers and gi top are unique to the Midnight Edition Athlete. 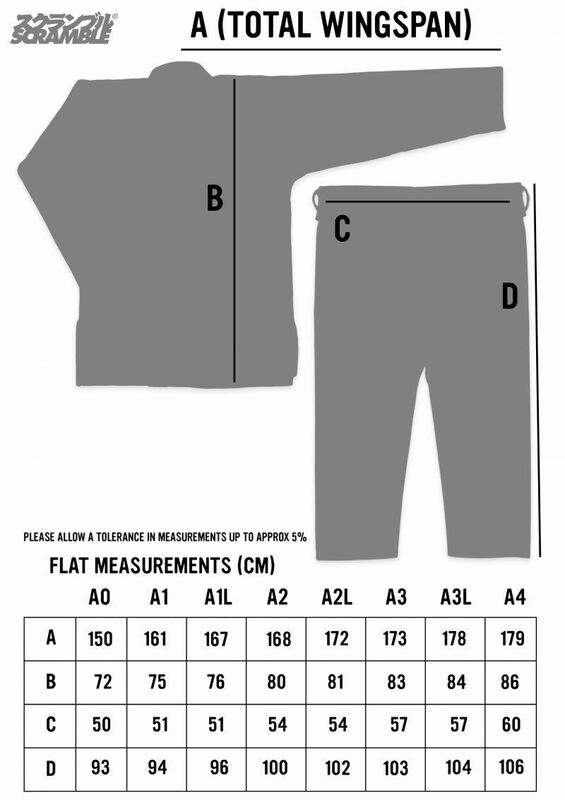 Ultra high quality embroidery, labelling and finishing. Very light and good quality kimono. Best one I’ve ever had! Good one. After couple weeks of use, no tears or anything. Feels and looks good and its light. 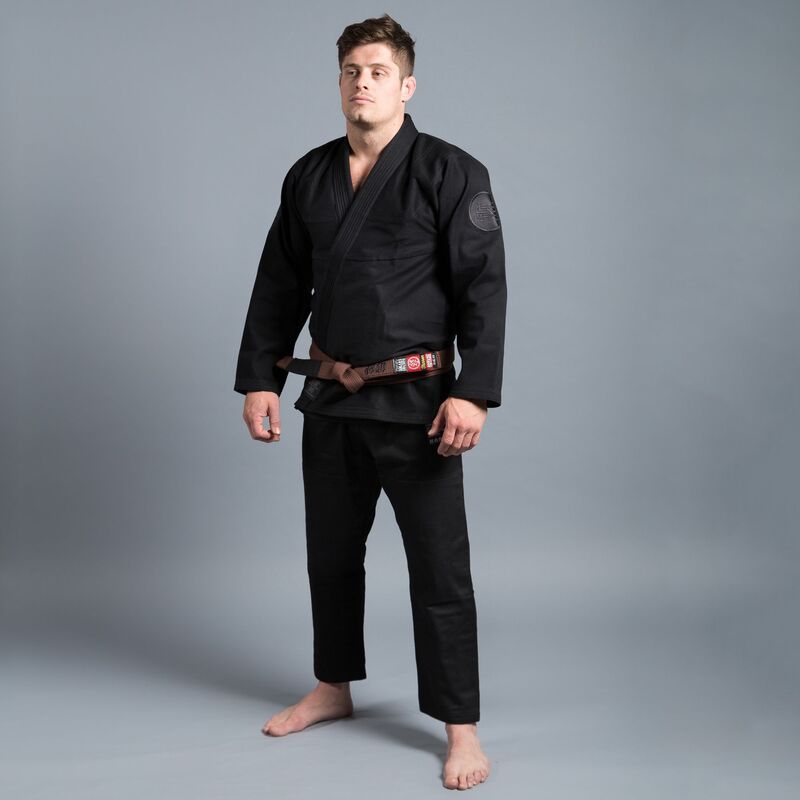 ultra stylish gi, extremely comfy and durable. 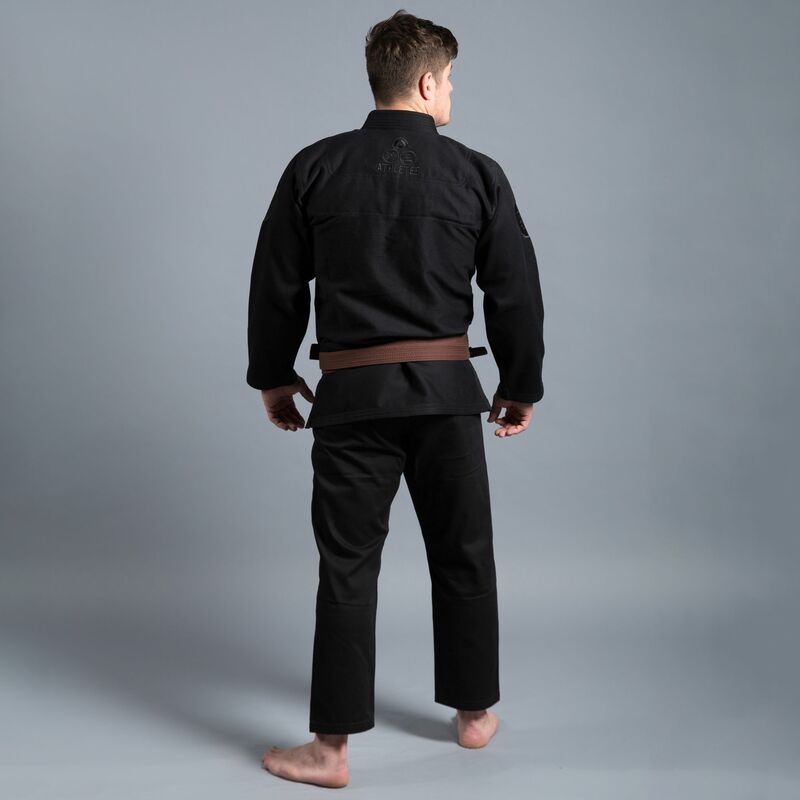 A real must for any serious ninja. This is one of the toughest gis I own. 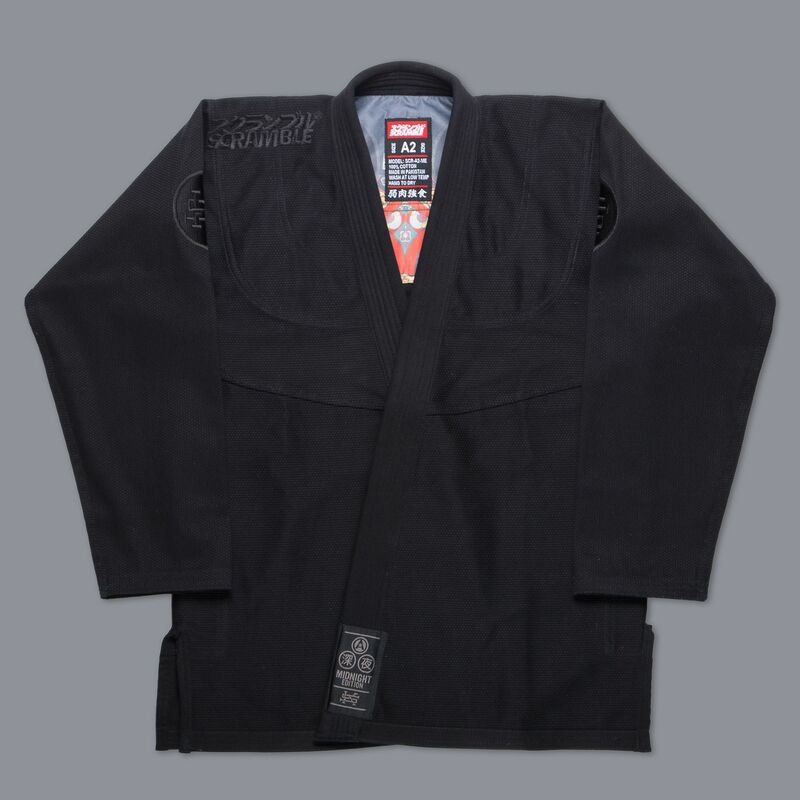 Durable, has held it’s colour well, and still makes me look like a total badass as I throw myself at the mats during Tachi Waza or Newaza. Unique Green Canvas Material Limited stock, no restocks, no wholesale Look, I don't wanna be the same as everybody else. That's why I'm a Mod, see? I mean, you gotta be somebody, ain't ya, or you might as well jump in the sea and drown.